Tired of cleaning on the weekends instead of doing things you want to do? Meet this KONKA KC-V1. Super brushless motor with 1200Pa strong suction power, it can clean your floor with maximum efficiency. Also, it can plan cleaning route intelligently, avoiding repeating and missing. And self-recharging design qualifies the sweeper to go back to the charging base when the power is about to run out. 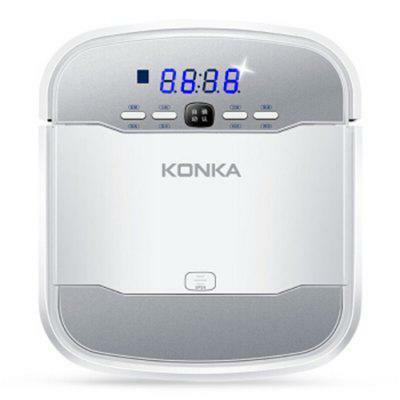 Want to be notified when the KONKA KC - V1 Robotic Vacuum Cleaner gets even cheaper? Make sure you snag the best price by entering your email below. We'll email you when the price drops, free! We're tracking the price of the KONKA KC - V1 Robotic Vacuum Cleaner every day so you know if that deal is really a steal! Check back for to check the best price for this product - and whether its current sale price is really the cheapest it's been! No KONKA KC - V1 Robotic Vacuum Cleaner coupons found!